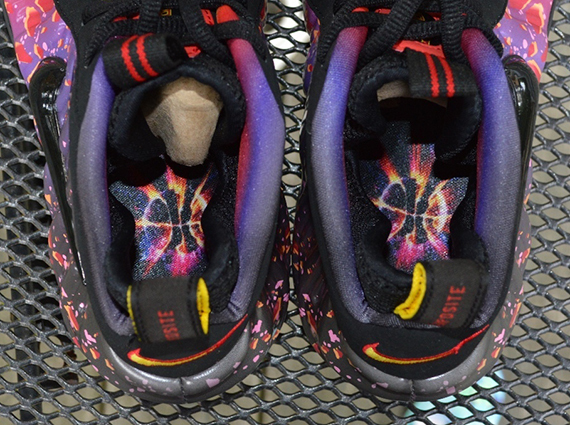 The Nike Air Foamposite Pro “Asteroid” is a sneaker that’s got much more going on than just that graphic upper. The gradient going on there is also matched by the outsole and the lining, both of which take colorful approach the likes of which we’ve not yet seen from any Foamposites. What’s more the insole get a unique treatment too, via that colorful exploding basketball planet imprint. Continue reading to see the shoes in better detail and then check out your chance to own an early sample from wattsgoodie on eBay.